The continuous TNF Ceiling C68 are designed with a flat, clean appearance. 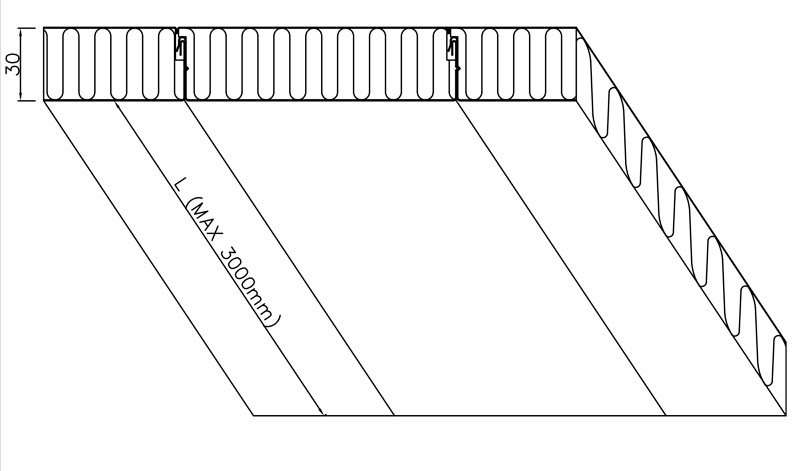 The Ceiling panels are self-supporting with a free span up to 3000 mm. Compared to the C65, the C68 is only 30 mm in thickness. The ceiling panels are supported by the wall panel top profiles, and form together with the TNF wall panel system an integrated accommodation system. The C68 ceiling are self-supporting system with an inter-locking joint. The ceiling panels are supported by the wall panel top profile. 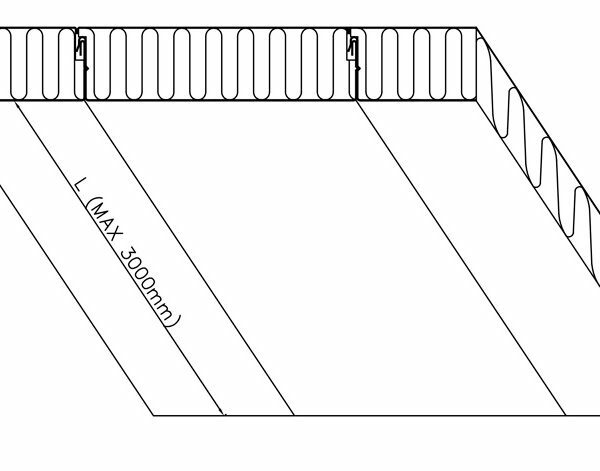 The ceiling panels are delivered in standard width 300 mm in pre-cut length form 800 mm to 3000 mm to fit individual rooms. The ceiling panels are designed with a clean, flat surface – plain. The ceiling panels are manufactured of polyester coated galvanised steel or stainless steel. For protection during handling ad installation, the ceiling panels are supplied with a peel-off protection film.